We are in the midst of a mini-boom for communications tools designed for augmented reality headsets, with the introduction of Avatar Chat and Mimesys for Magic Leap One and Spatial for the HoloLens within the last few months. However, these apps have largely been siloed to one platform or the other, until now. Canadian startup Arvizio has announced an update to its Mixed Reality Studio collaboration tool that addresses the aforementioned limitation. 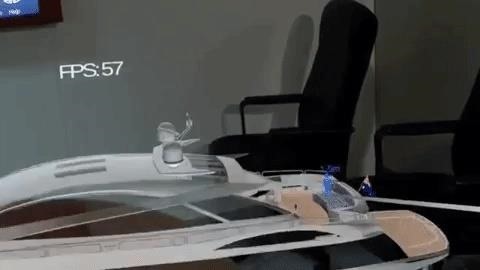 The update now makes it possible for enterprise AR business users to enable remote collaborations between the HoloLens and the Magic Leap One simultaneously (as well as via VR headsets). The functionality comes in version 3.0 of the software suite, which Arvizio will release by the end of January. 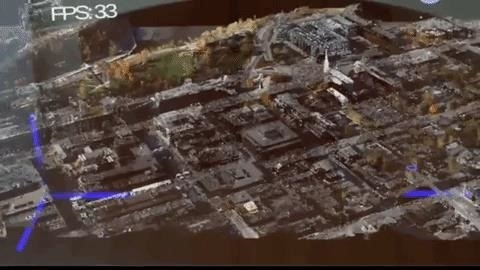 Arvizio's software enables multiple users, both on-site and in remote locations, to view complex 3D models and point clouds. Designed for enterprises in the architecture, engineering, and construction industry, as well as energy and mining, the software supports formats from Revit, LiDAR systems, and most popular computer-aided drafting (CAD) and building information modeling (BIM) platforms. "Customers require a flexible platform that offers a common experience across multiple types of augmented, mixed and virtual reality devices," said Jonathan Reeves, CEO of Arvizio, in a statement. "We're excited to announce that MR Studio supports an expanding number of AR, VR and MR devices for cross-platform, multi-user, collaborative experiences." As part of the cross-platform capability launch, Arvizio will offer a "Mixed Reality Innovators Pack," which includes the MR Studio software and support for up to five devices. The company will conduct live demonstrations of the experience at the Ontario Pavilion of Mobile World Congress Barcelona, which takes place Feb. 25 to Feb. 28. 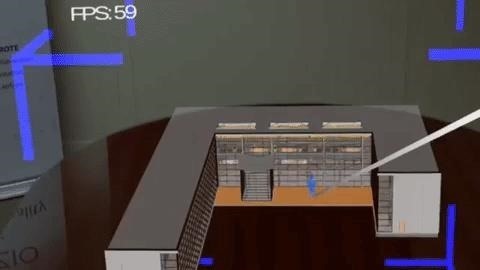 In recent years, augmented reality solutions for enterprise businesses have often centered on hands-free visualization of workflow guidance and remote video "see what I see" support for HUD-style smartglasses. Now, with the availability of augmented reality headsets capable of visualizing truly 3D content, the enterprise software sector is evolving before our very eyes. As the Magic Leap One continues to expand its reach, and a new model of the HoloLens prepares to launch, Arvizio is well positioned to capitalize on enterprise businesses looking to take the next step toward implementing AR into their business operations, no matter which platform those companies choose.